Amelia Emberwing | Page 2 | Birth.Movies.Death. Amelia loved many things as a kid, but Harry Potter and Batman were what really brought her in to the world of fandom. Her tastes are eclectic and she firmly believes that one doesn’t have to choose between Marvel and DC or Star Wars and Star Trek. Charities and well developed female characters are the way to her heart, and she survives on a steady IV of caffeine, rants, pixie dust and fangirling. 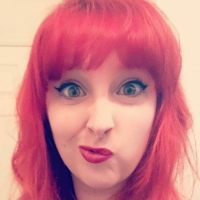 Connect with her on Twitter @BrowncoatAuror! Ask me how it feels looking like hell on wheels. No, Fred, I’m pretty sure he’s an idiot. Consent matters, you speedster idiot. You're right, Laurel. Felicity is kind of a badass!